What Does Business Think of the 2017 Spring Budget? Home All Articles What Does Business Think of the 2017 Spring Budget? The 2017 Spring Budget contained a number of surprises - but what does UK business think about it? 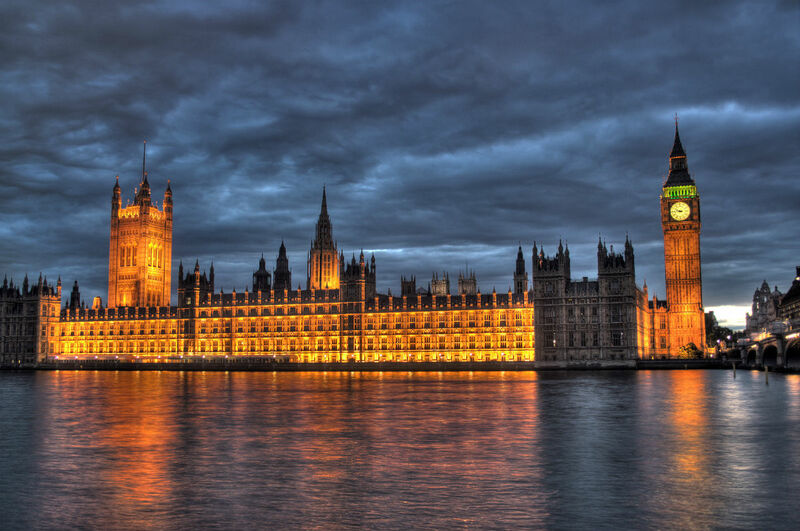 Philip Hammond delivered his first Spring Budget as Chancellor of the Exchequer in March and unsurprisingly, the measures caused some consternation and much disagreement. However, the level of the opposition to some of what the Chancellor outlined was such that it resulted in a U-turn in one particular policy. For employers and those going it alone, there's no doubt that this Budget was contentious and it's worth looking at how the measures - and non-measures - have been received by those who will be affected the most. It is in the government's interests to ensure that those who are setting out on their own are looked after. It takes a certain leap of faith, which should be rewarded and it's becoming an increasingly popular work route. Startup businesses are forming at a rate not previously seen in this country. 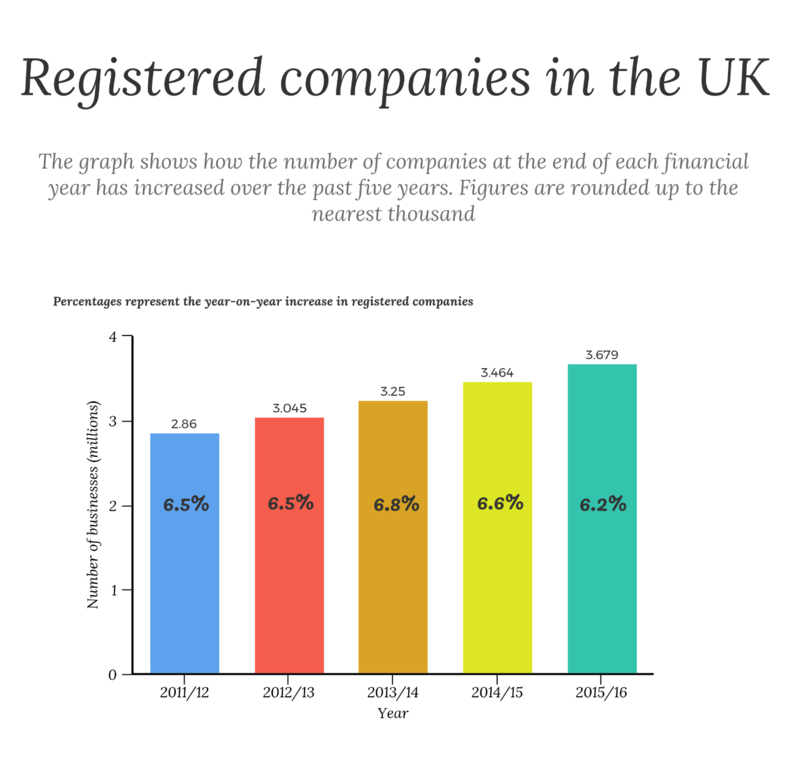 2016 saw the formation of more new businesses than ever before and already this year, the number of new organisations registered with Companies House is into six figures. Flawed. Naive. Cowardly. These are just some of the words used to describe the decisions made by the government, despite the about-turn in one of the policies. Julia Kermode, Chief Executive of the Freelancer & Contractor Services Association (FCSA) - the UK's largest trade association whose members support more than 110,000 self-employed freelancers and contractors, said the government should keep in mind just how popular this route of employment is. "The Chancellor should remember that micro-businesses and self-employment account for around 50% of the increased workforce between 2015 and 2016, which underpins the highest employment figures for over a decade." Which proposals will affect employers and the self-employed? Mr Hammond spoke for less than an hour, at the end of which he reaffirmed the government's "commitment to invest in Britain's future. We embark on this next chapter of our history confident in our strengths, and clear in our determination to build a stronger, fairer, better Britain." But do the plans to make a stronger, fairer Britain impact negatively on the self-employed of the UK? Addressing what he described as an unfair and unaffordable discrepancy of contributions between those self-employed and those in employment, the Chancellor has reduced the Dividend Allowance from £5,000 to £2,000. The reason is that he feels it will discourage people forming companies with the purpose of reducing tax liabilities. As it stands, a Director / Shareholder can take £5,000 out of their company without paying tax on it - which Mr Hammond said is "over and above the personal allowance." The Conservatives claim to be the party for small business, so putting up rates for the self-employed suggested quite the opposite. The decision was made to not only address the perceived unfairness around the tax advantages a Director / Shareholder can enjoy, but also to raise much needed revenue. Mr Hammond believes approximately half of those affected by this measure are either a Director or Shareholder of private companies. The reason for this action is to deter those that the Chancellor feels are using self-employed status in order reduce tax liabilities - a perfectly legal way to increase the gap in total tax and National Insurance Contributions (NICs) between an employed worker and one who has set up their own company. This announcement was the one which caused the most fury - and it quickly lead to a government change of heart. In a break from the 2015 Conservative Party Manifesto, Mr Hammond pledged to increase the Class 4 NICs. As an example, he said that an employee earning £32,000 will incur £6,170 of NICs whereas the self-employed person earning an equivalent amount will pay £2,300. The discrepancy in NICs here reflects the difference in state pensions and contributory welfare benefits. However, the Chancellor's argument was that the introduction of the new state pension substantially reduces this gap - since last year, self-employed workers have been able to build up the same entitlement to the state pension as those in employment. I believe that those brave enough to start their own business should be rewarded, not punished with higher tax / NI contributions than those in full-time employment. Therefore, in an attempt to raise £145 million per year for the Treasury, the plan was to increase Class 4 NICs by 1%, to 10% from April 2018, and a further 1% in April 2019. However, the ire of backbench Conservative MPs and the self-employed meant the scheme was scrapped precisely seven days after it was announced. How will employers and the self-employed feel about the measures? Scathing is the word best used to describe the responses we've had from those who are self-employed. The general consensus is that this reduction penalises people who take the leap into running their own business. This, more than anything, is what many see as unfair when such bravery - which the government always says is vital to the economy - should be rewarded. Col Skinner is a Digital Marketing Consultant who has owned his own business, Profoundry, since 2014. Once the new measures come into force next year, the amount he pays himself in dividends will have to change because the amount of tax will do so. This will result in an increase in salary, which he'll pay more tax on. "In setting up a business, entrepreneurs take a great deal of risk with their own time and money." Col told Agency Central that the discrepancies are unfair because - and this is a common theme - the self-employed don't have sick pay, holiday pay and the pension contributions still won't be the same despite the government's new measures. More than anything, he said that any barriers to creating a business should be removed - and these changes certainly provide barriers. He said: "I think there should be very few barriers or hurdles for those wanting to start their own business. In fact, I believe that those brave enough to start their own business should be rewarded, not punished with higher tax / NI contributions than those in full-time employment." Andrew Ward echoed much of Col's sentiments. He is the Managing Director of an app development agency called Scorchsoft. He also thinks that the reduction in tax-free dividend is a barrier to setting up on your own. "In setting up a business, entrepreneurs take a great deal of risk with their own time and money. A reduced tax rate is a strong initial incentive to those setting up, compared with going the traditional route of employment." His advice, in order to reach a compromise, is for the government to drop the dividend for businesses who have been trading for a certain number of years - therefore not punishing those starting up. As things stand, it leaves SMEs in a position where they have to 'grin and bear it'. Col believes that this move is - rather than targeting large firms who can take their business elsewhere - "the cowardly route of targeting the more tame and vulnerable self-employed. The issue many took with the move was that it lacked a sense of fairness by only being aimed at those running their own companies. The opinions of business owners and self-employed workers were no less withering or unsparing about the initial Class 4 NICs plan, despite the government's backtracking. It was pointed out that this policy completely goes against the manifesto on which the Conservatives won the 2015 General Election. Ultimately, the government was accused of naivety from many quarters because the self-employed won't have access to the state pension that employees will - "far from the level playing field" - and also won't have access to many other benefits afforded to employees. Julia Kermode said: "Self-employed people do not have access to NICs funded statutory benefits like unemployment benefit or sick pay, and when it comes to maternity allowance, employees receive at least 57% more than self-employed workers, based on our analysis of a 2012 XpertHR survey." One of the recurring themes of criticism has centred on the government's apparent double standards: they recognise the role of SMEs and entrepreneurs but try to introduce a punishing tax. It's a point made by Dave Chaplin, CEO and founder of Contractor Calculator: "The Conservatives claim to be the party for small business, so putting up rates for the self-employed suggested quite the opposite - we saw the government sucking up to the corporate world, taxing the low paid even more and letting employers off the hook." The government "should be clamping down on employers, not employees. Pete Mugleston, Director of Online Mortgage Advisor, doesn't believe the opposition came because of the planned increases as such; rather, it's the perceived "lack of fairness" in not increasing these contributions across the board. "The issue many took with the move was that it lacked a sense of fairness by only being aimed at those running their own companies. "Politicians seem to do all they can to avoid a blanket tax increase, through fear of a cost in popularity and ultimately, votes." What should the government focus on? Speaking to the self-employed brought up another important element compounded by the possibility of raising NICs: there seems to be a culture of employees being forced into self-employment by business owners looking to cut costs. According to figures produced by the Office for National Statistics (ONS), unemployment is at its joint lowest level since 1975. However, those working on zero hours contracts potentially mask the real number. Dave Chaplain feels the NICs measure was a "knee-jerk" reaction to the recent cases where workers are forced into self-employment by employers. It is abominable that the government should penalise people for being self-employed. He feels that the government "should be clamping down on employers, not employees"
This forced self-employment is a way for business owners to save money because in these conditions, they no longer have to provide rights such as holiday, sick, or maternity pay. Dave continued: "Whilst many people choose to take the risk and become self-employed, there are still those in false self-employment and the government needs to focus on clamping down on firms that force vulnerable workers into low paid self-employment due to the inequality of bargaining power they have as workers." Other people registered as self-employed aired similar grievances at the government. Another small business owner, Lucy Hutchings Hunt, who runs Systemzed, gave credit to the Chancellor for his common sense in reversing the Class 4 NICs proposal. However, she feels that a wider issue is that so many have to turn to self-employment. Self-employment obviously brings with it a lack of job security but to counter that, the flexibility allows many to fit their lives around work. The Chancellor should remember that micro-businesses and self-employment account for around 50% of the increased workforce between 2015 and 2016. However, this isn't the case for everybody and Lucy told us of a friend who worked as a contractor for a large company up until maternity leave, only to be told her job won't be there when she is due to return to work. Such employment is cheaper for organisations and they can get out of these type of working arrangements with few obligations. The point that Lucy alluded to is that job security is getting worse, with fewer full-time jobs out there - see the rise of zero hour contracts - which means many simply have to take the self-employed plunge. She believes this is something the government should be focusing on. "I have strong feeling that more people who are motivated and want to work but can't get traditional employed roles are being forced into self-employment because there are no other options out there. "For this reason, it is abominable that the government should penalise people for being self-employed. There are simply not enough PAYE roles to go around and the government should be doing everything they possibly can to support self-employed people."